I think I'm going to stop typing "It's Day....whatever"...I think we can all look at the calender and see it's October 11th, it's the 11th day in my series. :) It just seems a little redundant...But I will still welcome you and thank you for being here...now that is worth typing. I've been working in my studio a little this week, mainly packing away what little fall I have left and getting Christmas out....and doing a lot cleaning in there, designing can be, no, it is messy work. I completed a few wreaths for Christmas that are now available in my Shop. This first wreath is featuring some of the prettiest ribbon I've ever found. Kind of a linen background with velvety red and green stripes, I love it so. A small one, with plaid. This is one of my most favorite I've ever done, Justin tells me I say that nearly every time, but really, I might be making myself one of these. I used burlap ribbon and rusty jingle bells and the special part is the metal ribbon, it really sets it off. This is a big one too at about 30". Au Naturel. Another little baby one. I really like doing Christmas on grapevine wreaths, although I do all pine wreaths too....but the grapevine just looks so natural with pine added. And one word people: burlap. An all-season ribbon if you ask me. I had my Chemo Ed class yesterday, for the second time. I guess when they change the regimen, you have it again. This new drug has similar side effects as the other drugs from before (fatigue, vomiting, nausea, risk of infection etc. ), but in addition, this one is hard on my kidneys and liver...but I will be having labs each week to keep an eye on that. So that's it, another 6 months of this chemo and maybe the tumors will go away this time. They also slipped in a 'sit down' with a social worker on me too, she had a series of questions pertaining to depression and how I'm 'dealing' mentally with my situation...I wasn't prepared for that and ended up balling like a two year old, not an ugly cry, just some tears that I really can't help but shed when asked a direct question, like: "Do you think about death or have thoughts about suicide?". Pass the tissues please. Of course I think about death and that other S word who wouldn't??? But no, I don't lay in bed and thinking about those things, but I'd be lying if I said they didn't cross my mind. Most of the time I don't even know what I'm thinking or what I'm doing...usually why is my big question....not the "Why Me God?" question, why not me? More of the why did I just buy that pair of shoes? I've got cancer. Why do I keep my booth space? I've got cancer. Why did I make those wreaths above? I've got cancer. I've got cancer. I've got cancer. I know! I know! But I've got to do something, anything. I'm not going down without a fight. Michelle, I love the new wreaths! Simply gorgeous!!! Keep up your positive attitude! It works wonders. My husband is a radiation oncologist and is often times speaking of his patients with the best attitudes. You are in my prayers. I absolutely love the wreaths. That burlap one with the metal ribbon is so beautiful! Your strength and perseverance is an inspiration. Wishing you the best. You are inspiring. 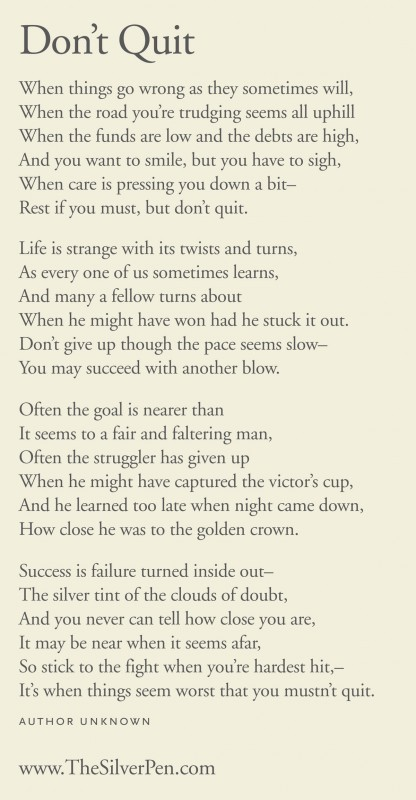 Hang in and fight on. And make the journey beautiful as you go. Thanks for sharing. We're all on this earth to bring glory to God and to make a difference in the lives of others - you've absolutely done both and done them well. I'll continue to pray for your strength, physically, emotionally, and spiritually. You are a wonderful example of finding joy through trials. Your wreaths are simply gorgeous! Love the one with the rusty jingles bells...so natural yet festive. You hang in there and keep that postive attitude Michelle, no reason for you to stop doing (or buying) the things you love. You have been blessed with such wonderful talent, and that talent is a gift which is meant to be shared with others, it makes people happy...and that is what will keep you going. I too know in my heart that you will get through all this. As always, keeping you in my prayers and God bless. Reading your post takes my breath away-I am left wondering if I would be so strong; I hope so. We (my family and I)are praying for you every day. And I am sending all the positive thoughts and energy I have to you. I haven't been following your blog very long, but when I stumbled upon it I enjoyed it so much I have continued to come back. You are an inspiration. Your wreaths are beautiful. I will pray for you and hope that this round of chemo does what you need it to. You are stronger then you know! Thanks for sharing today! I said a prayer for you and just know Jesus has a plan for you! Hi Michelle - I, too, am in treatment for cancer and just started my new chemo regimen yesterday. This is my 3rd fight against aggressive non-Hodgkin lymphoma in 5 years. I am doing the chemo now to keep the disease in check while we search for a donor for a second stem cell transplant. A little scary, and I too sometimes wonder if I should be doing "future" types of things. I would love to chat with you sometime. You are a strong woman, and I think doing anything that focuses on beauty and keeps you positive is the right thing! You have out done yourself on these wreaths. You are so talented and creative. You are also my hero, Michelle. Your attitude is amazing, it's clear how hard you are fighting, and you are helping people by sharing your story. I will be right here when you finally beat this dreaded disease and we can all celebrate together. You are in my prayers every day. Michelle, I was a florist for many, many years, so the "designing is messy" comment made me chuckle. I have enjoyed your blog from the beginning, it is at the top of my reader. I get excited when I see you have a new post! There is something soothing about the routine of everyday activities...and there is healing in the creative process for those of us that love it. Keep living your life...count me among those that lift you up in prayer every day. Thanks for all the great inspiration! Your wreaths are gor-geous!!!! Some of the prettiest I've seen! You keep buying those shoes, you keep making your wreaths. Do it for your family, and most importantly do it for yourself. You are such a brave woman, and I think of you often. Your wreaths are beautiful! You have such a talent. Keep doing those things that make you the happiest. That's what helps you get through the days. You have many who follow your blog and who are praying for you. I will say an extra prayer for you, too. Please don't stop doing what you love doing! Your work is lovely and you are so inspirational. Keep fighting and we will keep fighting with you. Hugs. Michelle....I just love the last words you wrote today...."I'm not going down without a fight!" I just love that attitude. YOU GO GIRL! Remember, there are a lot of us "out here" cheering and praying you on. Don't you ever give up! PS Love your beautiful wreaths. You have such talent! Michelle, You've created some beautiful wreaths. I adore the burlap with metal bells! They are all so pretty. Not ready for Christmas yet though. It's good that we can look forward to things that aren't here yet. Like chemo successful knocking out the tumors. I'm praying for that success. Thank you for sharing what you are going through. Keep fighting, girl! Your wreaths are lovely! Of course you buy shoes, girl! I love hearing your heart and saying you aren't going down without a fight. You GO, girl! My brother is fighting cancer right now and my sister had surgery and a biopsy yesterday to see if SHE has cancer. But she will fight just as my brother is doing. Fighting is just a part of living. We start fighting pretty much from the moment we're born to learn and grow and better ourselves. And a girl just needs a new pair of shoes now and then! Praying for healing and for good health for you, my friend! Sending prays and hugs! Keep fighting, keep doing! Michelle, I love your work & posts! I appreciate you for sharing your story. Keep on posting even if its just one photo with no caption. You are in my thoughts and prayers. Michelle, YOU are an such an inspiration. Keep up the fight, keep the positive thoughts, keep creating, keep buying shoes. I check on you every day and keep you in my thoughts and prayers. Ditto on shoes and doing everything else business as usual because you are valuable and important no matter what the situation. Your creativitiy is important to all of us that look to you for inspiration on your blog and to the people that bring beauty to their homes with your creations from your shop. I loved the poem. Prayed for healing, peace and comfort for you today. Michelle...with every post you bring creative joy and inspiration to others. Thank you for that! Stay strong in your fight and in your faith! I am praying for you...Deb (cancer survivor). Beautiful wreaths and thanks for sharing your thoughts. It's just as important to recognize those not-so-positive feelings as it is to tap into the positive. Keeping you in my thoughts. It is the second time, I visited your blog, the first when I looked for something about design that pleases God, and today I learnt about your case (cancer). Please, I know it is hard, but be courageous my dear. You are not alone, many are Christians women with cancer, praise the Lord if you can follow the chemo, as for us (in my country) in the difficult financial situation, many could not have it.One thing is true, you are in the process to be healed not only physically, but also emotionally and spiritually.We love you.You are so precious for us and in God's eyes. Keep up the fight, you do not walk alone! 31 Days With ME:Halloween Tablescape and HI! 31 Days With ME: Hair!